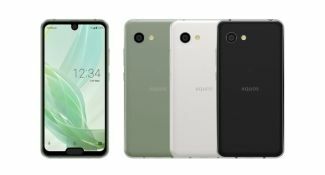 Japanese tech giant Sharp has launched a new smartphone called Sharp Aquos R2 Compact.The device comes with dual notch on its both upper and bottom edge of display.Its upper edge notch houses it's selfie camera while it's bottom edee houses phones home button.Besides,the handset features a decent configurations which can compatate to other flagships. The Sharp Squid R2 Compact features a 5.2 inch FHD+ display with high speed Sharp IGZO liquid crystal display.The multi touch supported display has Gorilla Glass 3 for protection.The handset has 131mm height,64mm width and 9.3 mm thickness and 131 gm weight.It is also certified from IPX5,IPX8,IP6X for water and dust resistance. For photography,Sharp Aquos R2 Compact is equipped with single 22.6MP sensor with f/1.9 aperture.It has OIS and Autofocus features as well as LED flash support.At front,there is 8MP shooter with face recognition support sits inside upper edge notch. 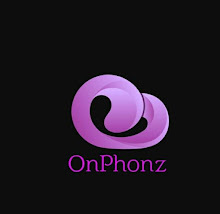 Pointing to its power,it is produced from 2.8GHz Snapdragon 845 processor and Adreno 630 GPU.Along with its SoC there is 4GB RAM and 64GB UFS storage offers smooth multi tasking as well.Its storage capacity can extend furthermore up to 512GB with an external sd card.The smartphone running on Android 9 Pie,is juiced with 2500 mah rechargeable battery. It's connectivity features includes,4G VoLTE,Wifi 802.11 a/b/g/n/ac,Wifi hotspot,Bluetooth,GPS/GLONASS,USB TypeC and 3.5 mm audio jack.The handset will also features all standard sonsors including finger print sensor and face recognition.However,the phone will be go on sale from January 2019 with White,Smokey Green and Pure Black in colors.